Enjoy an experience on us this winter! 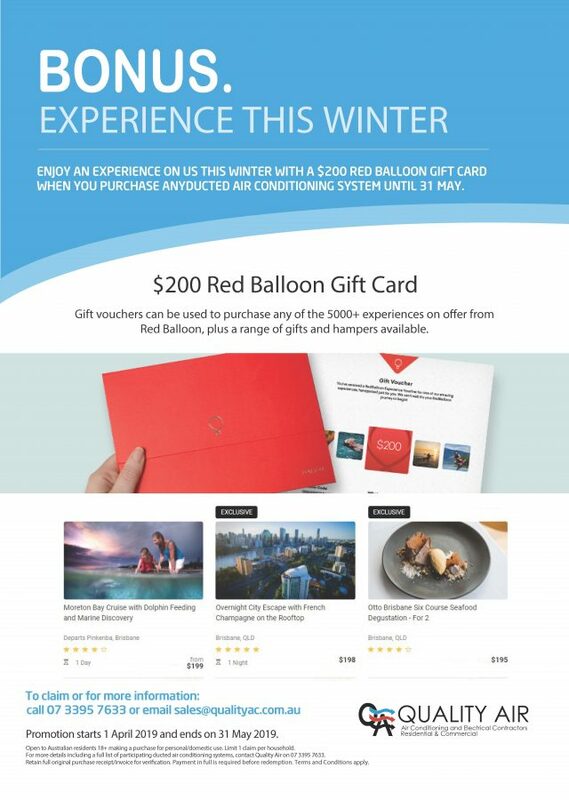 Customers who purchase a Quality Air ducted air conditioning system up until May 31st 2019 can receive a $200 Red Balloon gift card. These can be used to purchase any of the 5000+ experiences on offer from Red Balloon. To find out more about this amazing offer, check out our promotions page or contact us today.